With every Tower Generator service call, you receive the unmatched support of our dedicated field team and administrative support personnel. All of the Tower Generator professionals are ready to provide complete technical support whenever you need it. 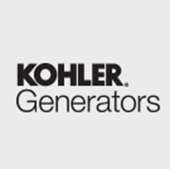 Our systems expertise, extensive field experience, ongoing factory training and customer satisfaction have earned us the title, “Connecticut’s Generator Specialists”. No matter what size generator you have – from 5kW to 3.2 mW – or what you need a backup power generator for – commercial, industrial, municipal or residential – we support your total system. Others systems include: Caterpillar, Waukesha, Detroit-Diesel, Magnetek, Katolight, Superior, Pincor, Euclid, Baldor, Winco. Other transfer switches include: Russ-Electric, Cutler-Hammer, GE, Zenith, Westinghouse.